We all live in our own world, that world is being developed and played out in our mind. As situations come up in our lives and we have the opportunity to use it for motivation or depression. All situations can turn out for our good if we realize the answer is yes. Yes to our future, yes to our dreams and yes to desire. I live in a constant state of yes. I know that if I am able to continue to learn and be willing to grow from every situation great things will appear in my life. If you think you can or you think you can’t–your RIGHT! 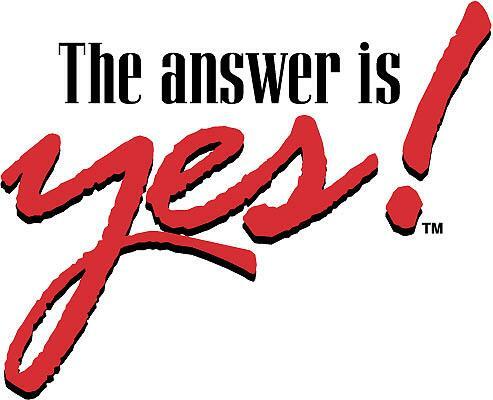 I encourage you to always remember The ANSWER is YES!!! !